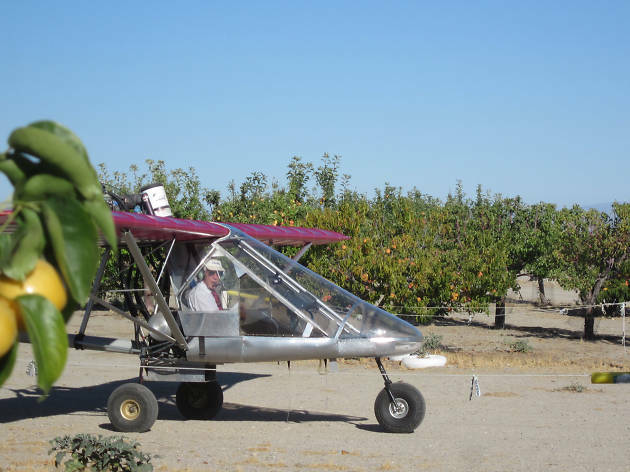 Among the vast stretches of empty plains in the outermost part of Los Angeles county, you can find the Brian Ranch Airport and its accompanying U-Pick Orchard. 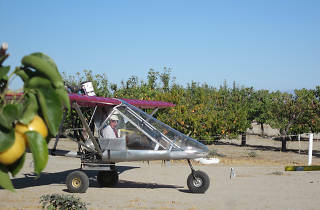 Privately owned and operated by Jack Brian and Felice Apodaca, Brian Ranch is home to aviation enthusiasts, a skydiving club, flight school and orchard. The couple planted their first trees in 1993, which today includes five varieties of apples, apricots, pears, cherries, nectarines, peaches and plums. All fruit is $1.50 per pound except cherries, which are $4 per pound, cash only. There is also a picnic area and gift shop where you can buy homemade fruit butters. Head to Brian Ranch, and you will experience the fun on a multitude of altitudes.